plus an additional 5% for using the free app. See How Protecting More Adds Up. Find out with a fast, free quote in minutes. *Savings value current as of December 31st, 2018. 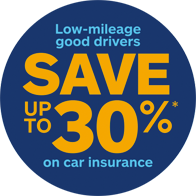 Inclusive of all other discounts as applied to Allstate’s base rates. Terms and conditions apply. Coverage, perils, Discounts and availability may vary by region. Rates and discounts subject to change. Trademark owned by Allstate Insurance Company used under license by Allstate Insurance Company of Canada. © 2019 Allstate Insurance Company of Canada.